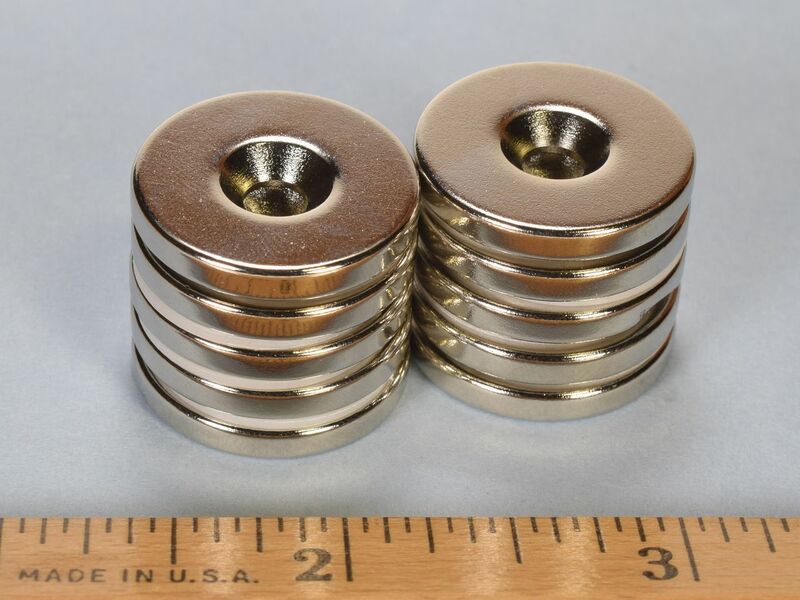 These are 7/8" diameter x 1/8" thick countersunk ring magnets sized to accept a #8 countersunk screw. 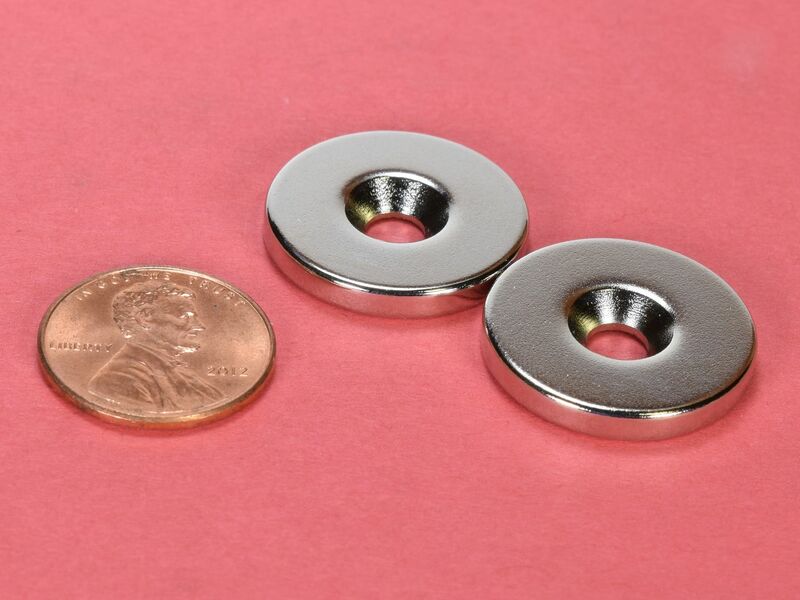 Sold by the pair as our part number RE22CS-P-N52. One will have the north pole on the countersink side and one will have the south pole on the countersink side, so they will attract each other when they are screwed in place.